This is my first tutorial! 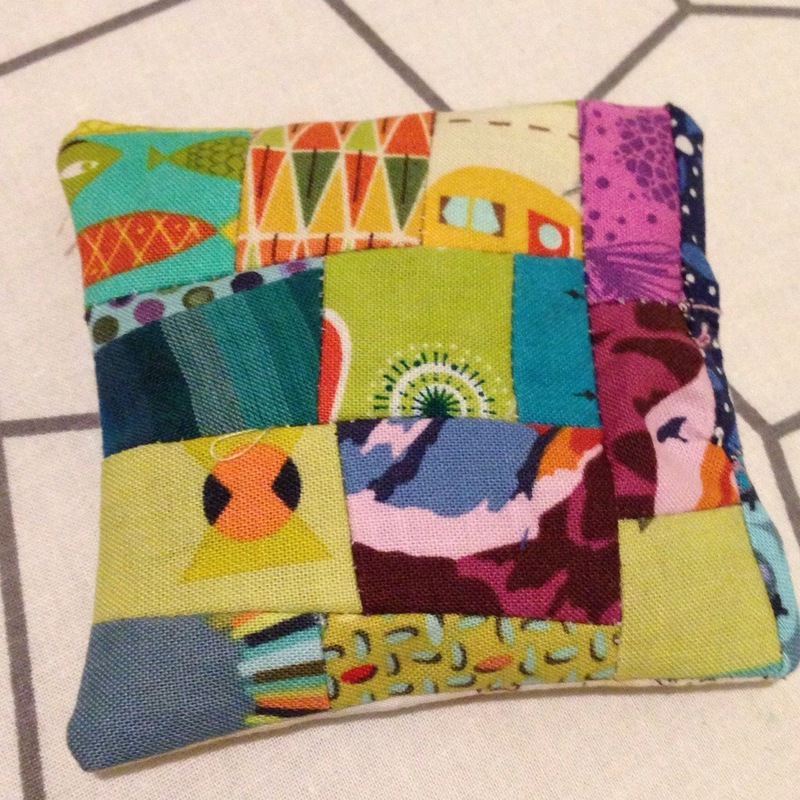 Basically this is a great way to use up scraps to make a gift for a friend or for yourself! 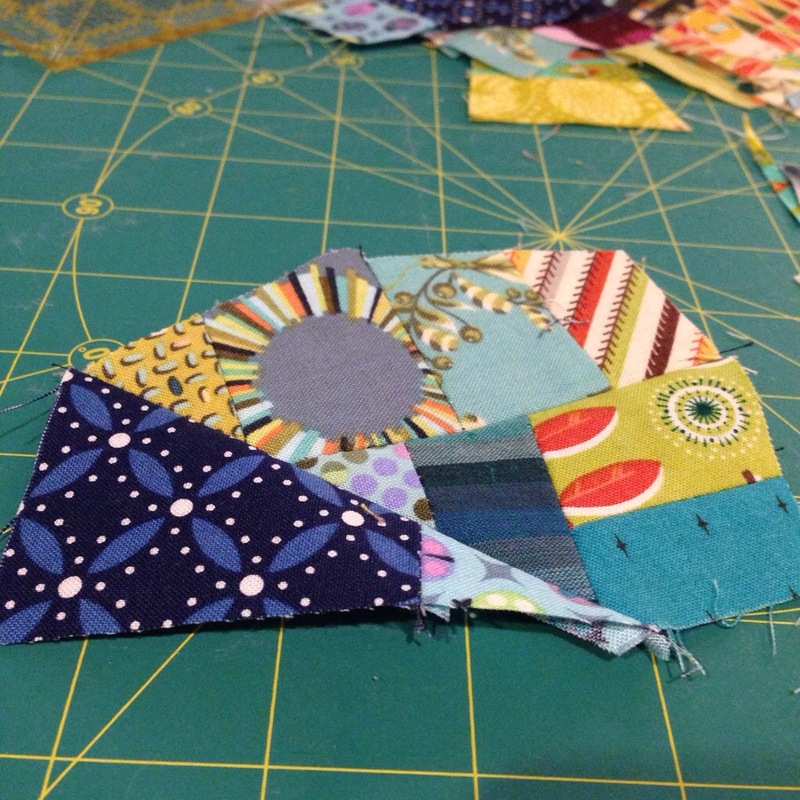 I love scraps – the variety of shapes and sizes really helps to create a challenge of how to put them together. 1. Make some piece sets. I started by grabing 5-6 pairs of pieces that had at least one side similar in length and sewed them together. Iron the seams open. 2. 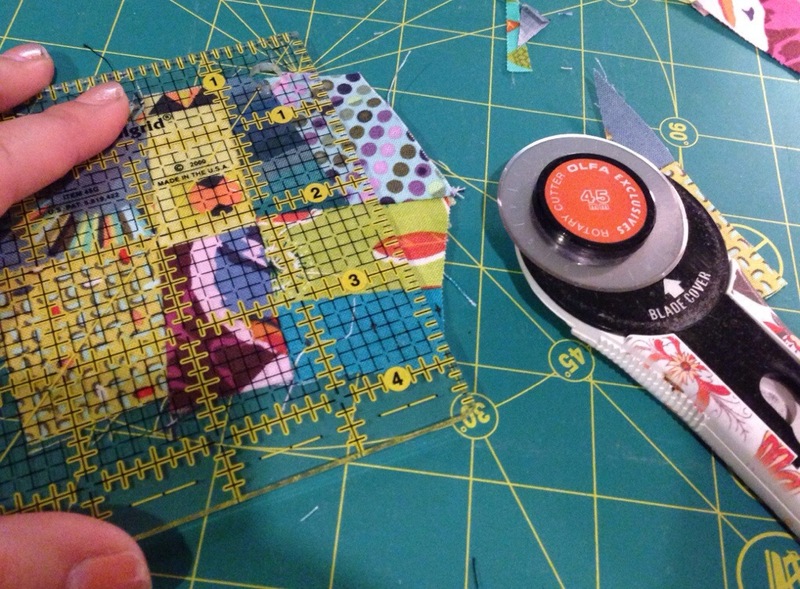 Use your rotary cutter to cut a wonky line anywhere you wish that will accommodate pieces you have ready to sew on there. Add more pieces to make it big enough to fit the edge. 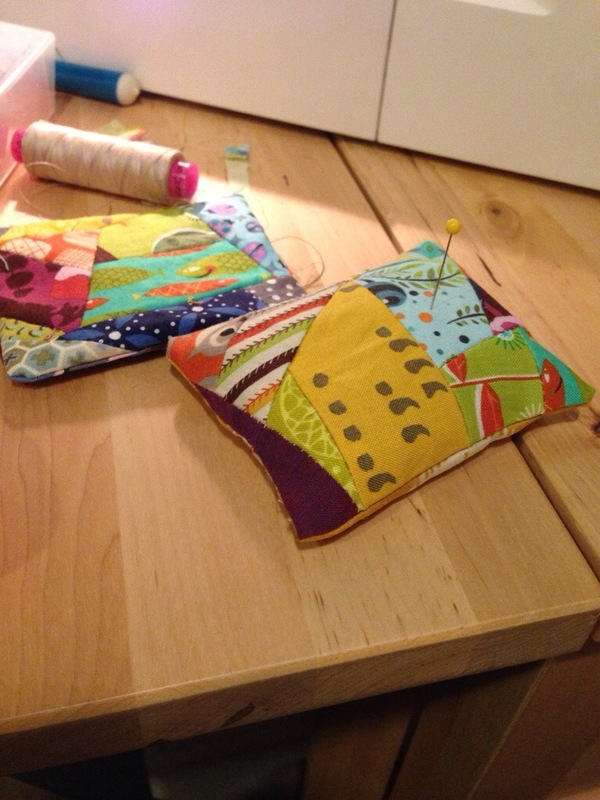 Sew, Press open, Repeat! 3. 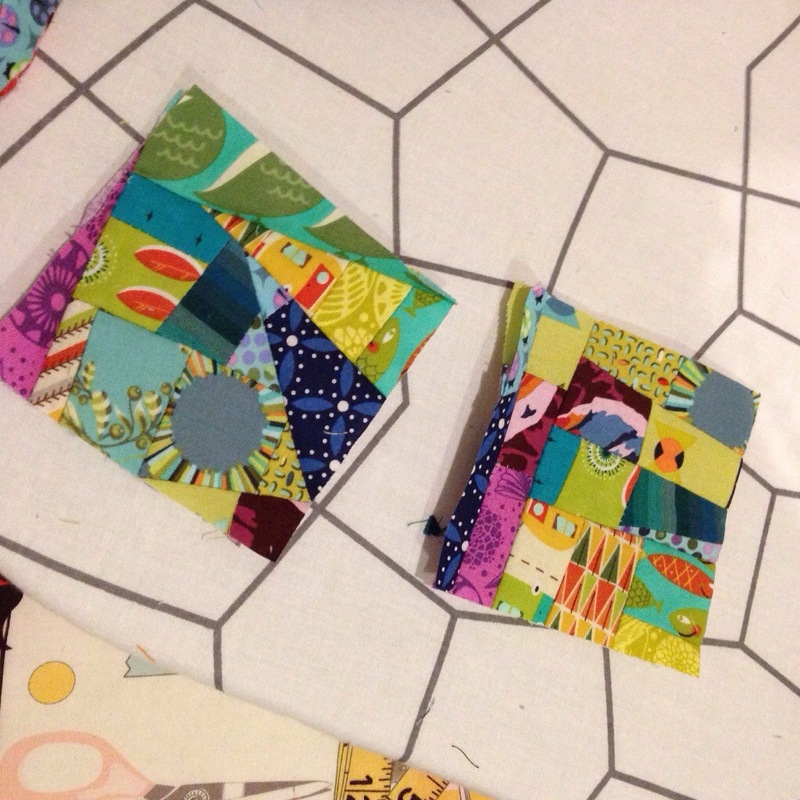 Once you get your piece large enough, mine came out to 4″ x 4″, iron them all again and sew right sides together with a same size backing piece leaving about 1.5″ for turning and filling. If you are very adventurous you could make the back side scrappy too! 4. Turn inside out and press again. 5. Grab a piece of heavy paper and tape it so it creates a cone funnel. 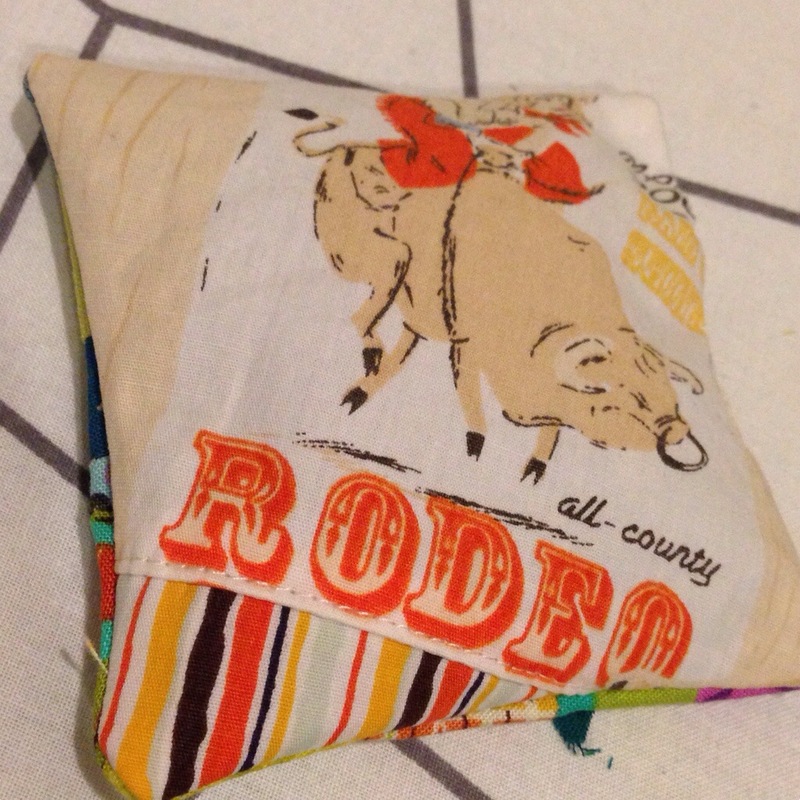 Fill your little bag with crushed walnut shells for a pincushion or dried lavender for a nice sachet! Posted in Fabric, Modern Quilts, Non-Quilts, TutorialTagged blocks, improv, modern, pin cushion, quilting, scraps, tutorialBookmark the permalink.